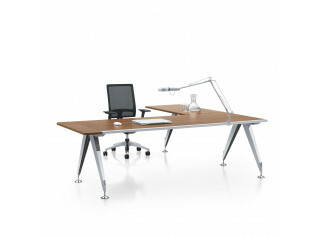 Revo Executive Desks are comfortable, tactile and aesthetically impressive. 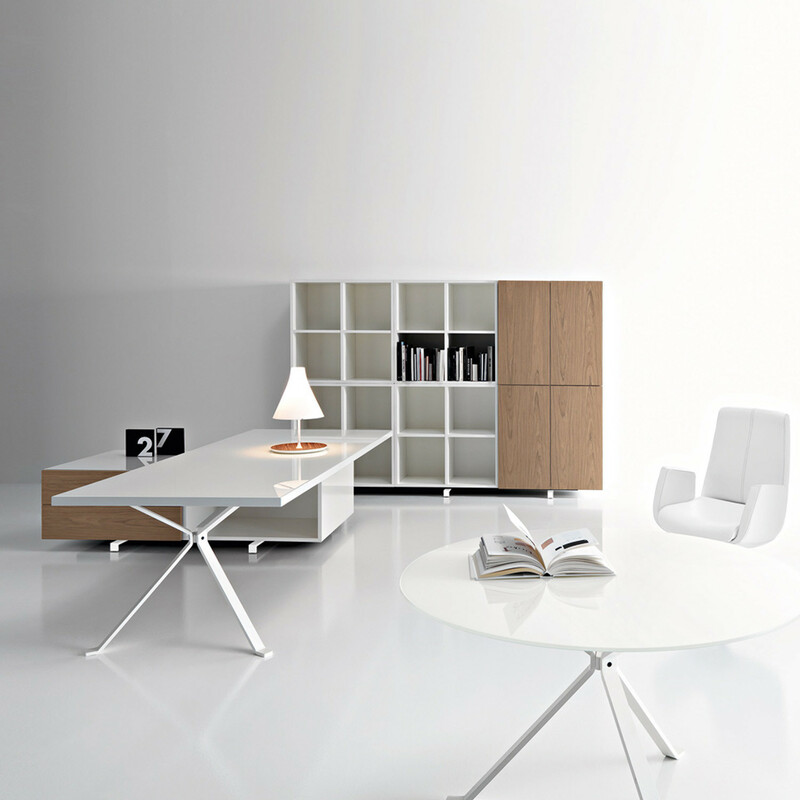 A high-end office furniture range. 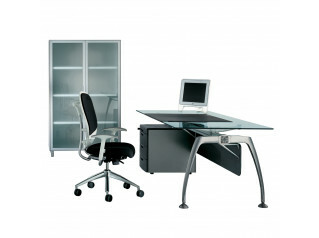 The Revo Executive furniture collection is designed to fully meet the needs of office management. The richness of the work tops and the quality of the finishing underline the managerial nature of the product. 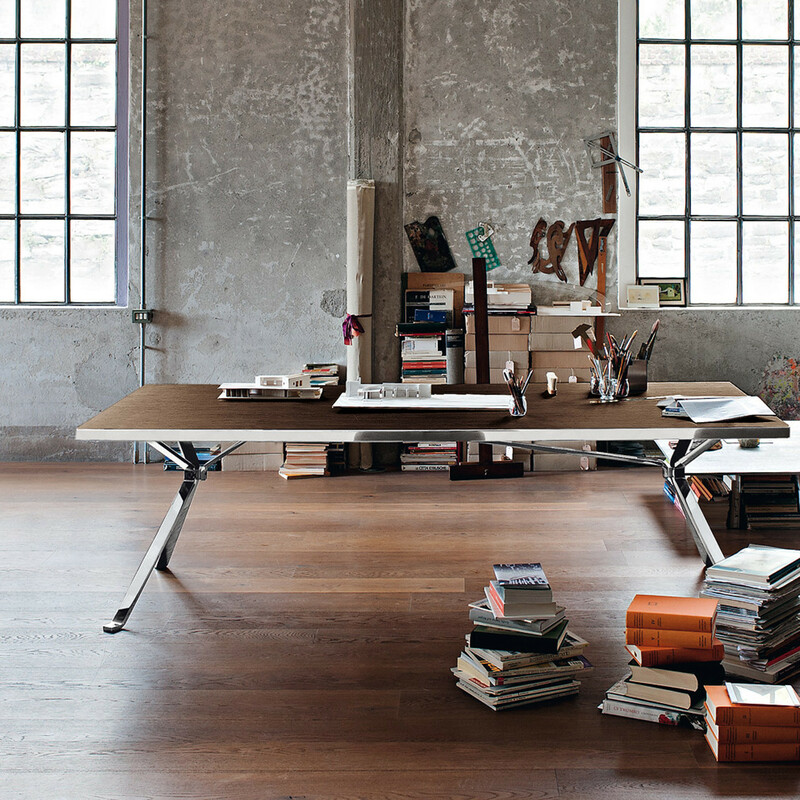 Revo Executive Desk collection consists of desks and rectangular, oval and round tables. The rectangular work tops have a considerable thickness (4 cm) with edge variants: with extruded aluminium frame (polished or painted), with perimeter frame in natural wood or with rounded, lacquered under-top. The range of finishes includes wood types (pale oak, grey oak, ziricote) and polished or frosted matt rear-enamelled glass. The edge frames are in aluminium or pale, natural varnished oak. The containers, each 35 cm deep, have a distinctive, essential, modular shape and recall the concept of the traditional bookcase, where objects are displayed as symbols of the place and its identity. The free-standing tables have oval or circular shapes (diameter 120 cm) and are built with a rounded, lacquered lower support in MDF in the same or a contrasting colour. The choice of the wood colours and veining is the result of painstaking research in the materials to be used. 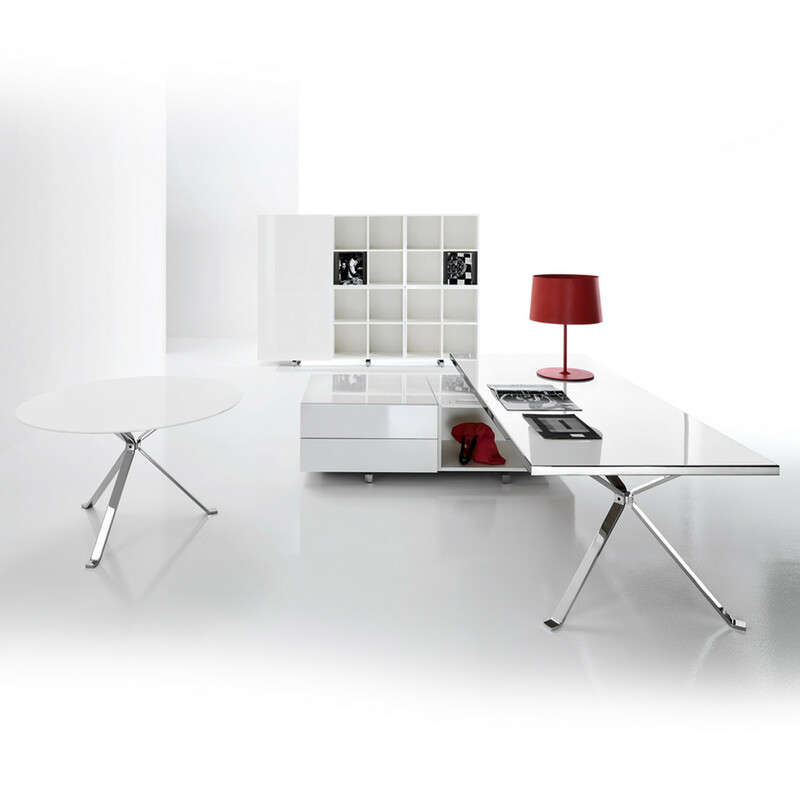 Surface tonality, carefully selected with attention to its feel, is enhanced in the repetition of colour tones, the details in each item of furniture and the steel structures in vivid red, yellow and brown, the chromed and total white metal. View more furniture from Manerba. 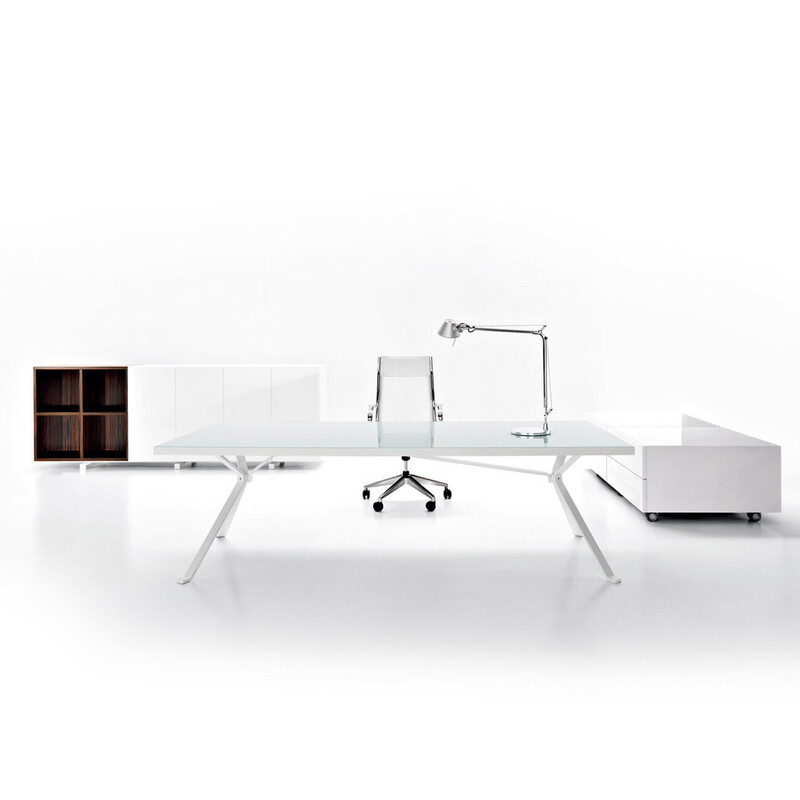 You are requesting a price for the "Revo Executive Desks"
To create a new project and add "Revo Executive Desks" to it please click the button below. 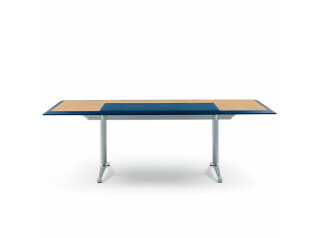 To add "Revo Executive Desks" to an existing project please select below.